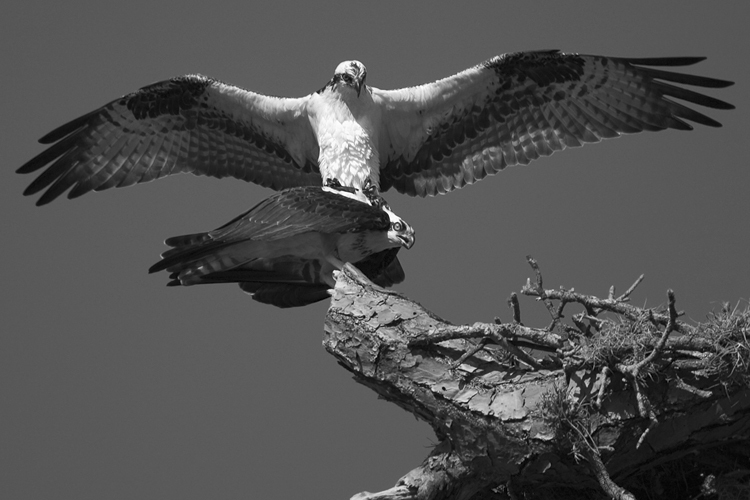 ospreys find a mate and spend the rest of their lives together. they also usually return to the same spot to nest, and that spot gets passed down from generation to generation. i liked the impact of this shot better in bw, but here is the color version anyway. which do you prefer? check out this interesting way to browse flickr tags.